I want to thank Nick at the Seventh Day Baptist Historical Society in Janesville, Wisconsin, for his help in retrieving the following obituary in the Sabbath Recorder, volume 22: issue 18, p. 71. In Wellsville, N.Y.; February 24th, 1866, Mrs. SARAH SAYLES, wife of Christopher Sayles, in the 72nd year of her age. She was a member of the Protestant Methodist Church, and adorned her profession by a godly life. Her end was one of triumph over the terrors of death and the grave. She leaves eight children, and twelve brothers and sisters, being the first to die out of her father’s family of children, the youngest of whom is fifty-three. A quick read of this paragraph reveals my great-great-great-grandmother Sayles to have been a godly woman; a wife, a mother and sister. The second read through tickles my curiosity. With its choice of the word “wife”, the author communicates that Sarah was survived by her husband Christopher Sayles, with whom she had had eight children. The author also states that Sarah died in Wellsville. I know from other family records that the couple had lived much of their adult lives in Tioga County, Pennsylvania. 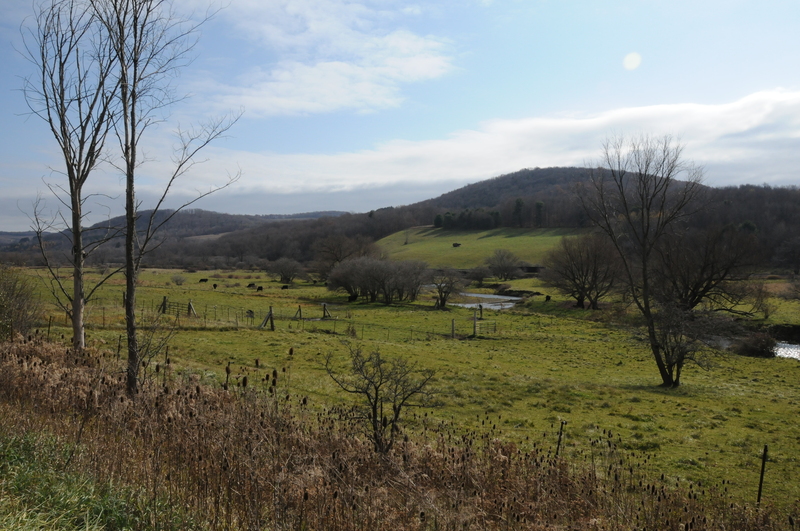 What, then, was Sarah doing living across the New York state border, in Allegany County? The 1865 New York State census marked the trail head to this mystery path: Sarah and Christopher were sharing a home with their daughter, Rhobe Sayles Crandall. This discovery pushed me to flush out Sarah’s other seven children and her twelve brothers and sisters. Family historian and cousin, Sharon B, fed me data crumbs which aided my search, and I reread a transcribed The History of Tioga County (Pennsylvania) on Joyce Tice’s site, Tri-Counties Genealogy and History. Now my trail was well blazed. Sarah and Christopher were born and married in Burrillville, Rhode Island, and they moved to Tioga County, Pennsylvania in 1825. Here they raised eight children to adulthood: Ira (my great-great-grandfather), Rhobe (Crandall), Priscilla (died at age 2), James King, Christopher Loren, Martha (Pickett), Philander, Keziah King (Batcheller), and Adriel King. Many of Sarah’s siblings were among the residents of Tioga County, as her parents had also migrated from Rhode Island to Tioga County in 1825. James and Merrobe (Roby) Howland King had thirteen children: Prince, Allen, Eddy, Ozial, Sarah (Sayles), John, James, Keziah (Crandall), William H, Hannah, Roby, Adriel, and Almon, who being the youngest, was just 53 at Sarah’s death. Newspaper notices capture the facts of a life. Sarah King Sayles passed from this earth on a Saturday, the 24th of February 1866. That fact, and the reference to all those who shed tears upon learning the news, is easily transmitted in newsprint. But who was Sarah, really? I am left with as many questions as Sarah had siblings. How did Christopher and Sarah contribute to their children’s household? Where did her siblings reside? How much time passed before they knew of her death? Her obituary states that she adorned her profession with a godly life. How did Sarah practice her faith? Did any of her children serve in the Civil War? How did that affect her? As she triumphed over the terrors of death, did she suffer a lingering illness? Just who was Sarah King Sayles?